Hassan Khomenei, a prominent figure in Iran’s reformist camp, says threats like the one issued by Ansar-e Hezbollah would not have dissuaded him from giving a speech in Golestan Province, had he had any plans to do so. Hassan Khomeini, the grandson of the late leader of the Islamic Republic, Ayatollah Khomeini, and Ali Akbar Nateq Nouri were threatened yesterday by the conservative group Ansar-e Hezbollah in Golestan that they should cancel any plans to give public speeches in that province or be forced out. The Shargh newspaper reported on Wednesday April 22 that Ansar-e Hezbollah in Golestan has warned that should Khomeini and Nateq Nouri want to give a speech in Golestan, they will face the same fate as Ali Motahari in Shiraz. Motahari, an outspoken MP, was attacked by a mob upon arriving in Shiraz in March to give a speech at Shiraz University. Motahari was not given a chance to give his speech. 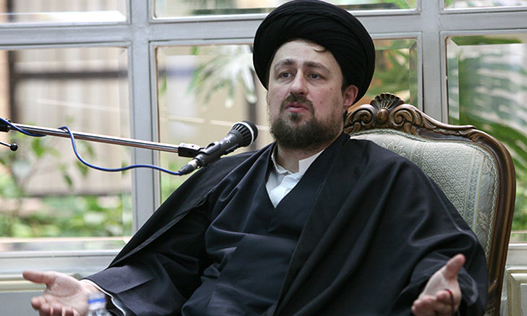 Hassan Khomeini said on Thursday April 23 that “the ministry of the interior’s weakness in dealing with the incident in Shiraz has given some groups the audacity to make such statements”. Khomeini stressed that the ministry of the interior needs to take charge of the situation and deal with such threats. Threats against reformist and moderate figures have increased in anticipation of parliamentary elections next March.